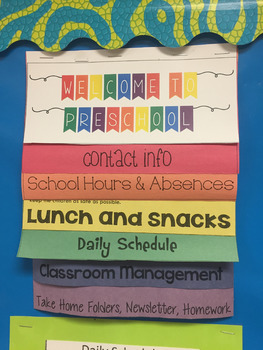 This flip book is a great way to keep your parents informed about classroom procedures! Editable to meet the needs of your classroom. ASSEMBLY: print on multi-colored paper, or all white. cut around the boxes, stack, and staple.